Posted on November 23, 2015 | 3128 views | Topic : Events, Featured, Property News. SkyWorld officially opened its RM12mil property gallery in conjunction with launch of Bennington Residences@Setapak. 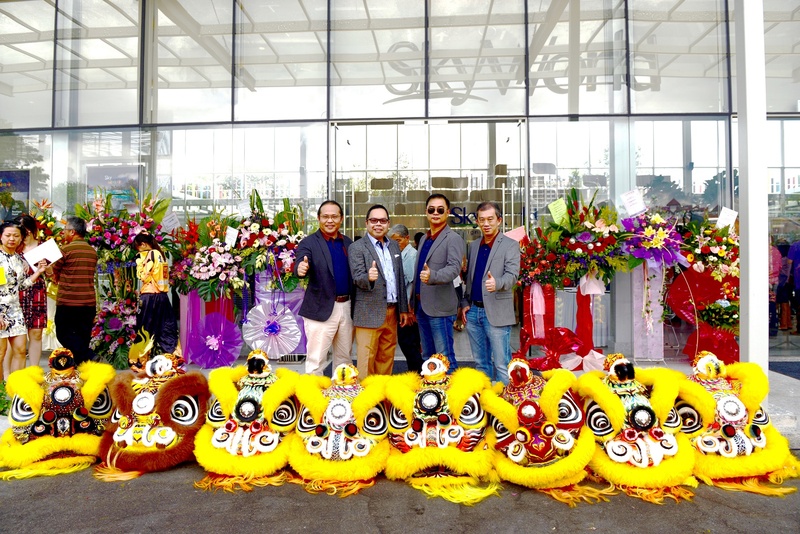 (From L to R): SkyWorld chief finance officer CS Siew , group deputy managing director SK Lam, group managing director Datuk Ng Thien Ping and chief project officer CS Lee. Kuala Lumpur: Setapak has come a long way from its origins. Originally the homeland of the Orang Asli and the Minangkabaus, Setapak has now transformed from a sleepy municipality into a thriving area within Greater Kuala Lumpur. On Nov 22, SkyWorld Development Sdn Bhd launches its much anticipated Bennington Residences @ SkyArena. During the launch, SkyWorld has also officially opened the door to its RM12mil SkyWorld Property Gallery at SkyArena, Setapak to the public. The event was hosted by celebrity Xandria Ooi, and guests were presented with a “feng shui” talk by Datuk Joey Yap. Sprawled across 28 acres, SkyArena, a SkyWorld’s mega mixed-development project, aims to nurture a vertical community built around health and wellness with its 9.4-acre multi-facility sports complex. SkyArena will feature SoHo residences, a retail mall, commercial spaces, as well as a boutique hotel. It is slated for completion in 2021. 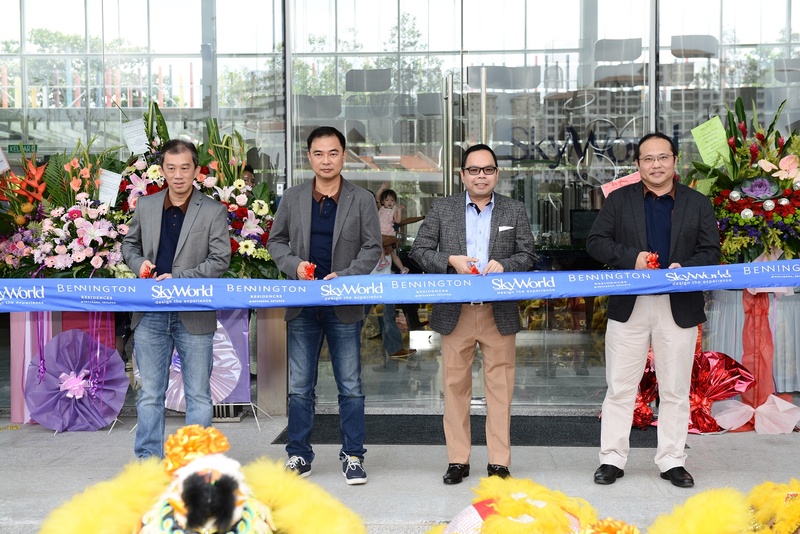 “We are proud to host this property launch and gallery opening celebratory luncheon for our 200 guests, customers, business partners and employees at one of Malaysia’s largest showrooms galleries as they have supported us and contributed to the success of SkyWorld in these early years,” said SkyWorld chief project officer and EXCO member Lee Chee Seng. Awakening the Lion – Dotting of the Lion’s eye. (From L to R): SkyWorld chief project officer CS Lee, group managing director Datuk Ng Thien Ping, group deputy managing director SK Lam and chief finance officer CS Siew. While other matured areas in Kuala Lumpur are experiencing plateaus, Setapak still has the potential for a long-term growth. Bennington Residences @ SkyArena is currently the only integrated development in Setapak that consists of residential, commercial and a multi-storey sports complex. Located in the heart of Setapak’s prime area, the property is situated perfectly to take advantage of Setapak’s current investment appeal. It is off Jalan Genting Klang, easily accessible from the DUKE Highway, and is only 7km from Kuala Lumpur City Centre and the iconic twin towers. Surrounded by established malls, namely Setapak Sentral Mall, Wangsa Walk Mall, Aeon Big, Suria KLCC and Great Eastern Mall, Bennington Residences offers the convenient and ease of living for all its residences. Bennington Residences is also ideal for young couples looking to start their families as it is just a few minutes away from two international schools, Fairview International School and Sri Utama International School. “We are proud to share that Bennington Residences @ SkyArena boasts Malaysia’s first triplex Sky Lounge and Sky Gym. It features two residential towers with 580 luxurious units set upon two-acre rainforest-themed Sky Park and Gardens to make wellness an everyday affair for all residents,” said Lee. SkyWorld owns prime land banks in Setapak, Sentul, Bandar Baru Sentul, Taman Danau Desa, Bukit Jalil and Setiawangsa with potential gross development value (GDV) of more than RM5bil.